We love the traditional look of these blue C7 Christmas bulbs. 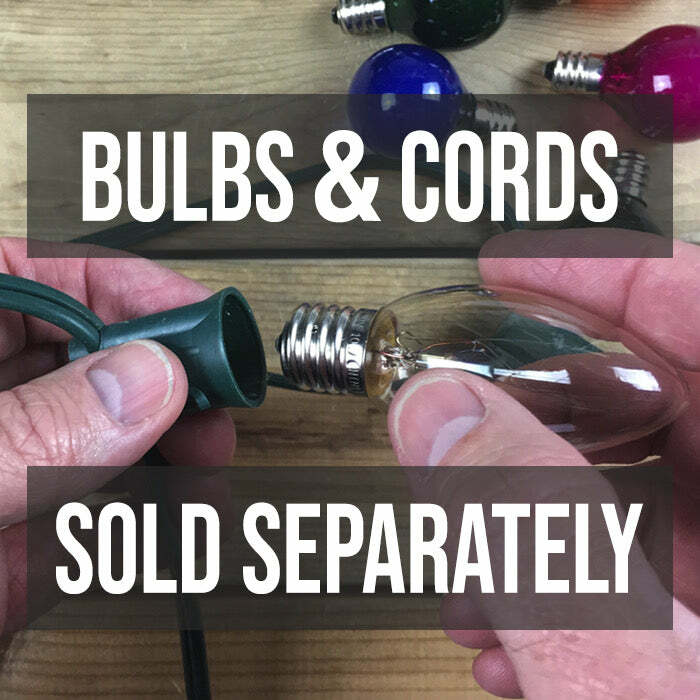 Choosing these beautiful jewel tone C7 bulbs will give your Christmas tree and holiday decorations the perfect touch of gorgeous light. Have been looking around in retail stores for these twinkle bulbs and they are nowhere to be found. Got them from Christmas Light Source - great price, fast shipping and all was professionally packaged! Will be back!! !